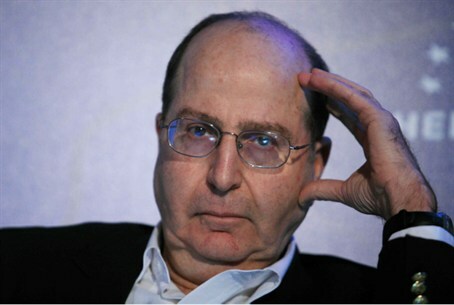 Minister Moshe Yaalon expresses hope that agreement between the parties can be reached. Negotiating teams from Likud / Yisrael Beytenu and the Bayit Yehudi parties will meet Friday to resume negotiations toward the formation of a coalition. The meeting is the first official negotiating session between the two parties since last week, although there have been unofficial contacts, including a reported one-on-one meeting between party heads Binyamin Netanyahu and Naftali Bennett on Wednesday. Minister for Strategic Affairs, Moshe Yaalon, of Likud, and MK Uri Orbach of Bayit Yehudi, expressed hopes in IDF Radio interviews Thursday that a breakthrough will take place in the talks. "The Prime Minister is trying to create as wide a coalition as possible that will be stable, and I hope that our partners will enter into serious negotiations," Yaalon said. "Tomorrow the teams will meet and I hope that there will be white smoke" – a reference to the famous white smoke that signals the appointment of a new pope. Yaalon blamed Bayit Yehudi for dallying, and warned that if they continue to do so, "additional parties will join the coalition before them." "The people calling themselves 'Bayit Yehudi' (Jewish Home) need to look at their interests and not at other considerations," he said. "If there is no choice but to form a government without Bayit Yehudi, those who voted for them will have to confront those who said they would strengthen Netanyahu from the right."